The Albert Park club met on Monday, September 14 and here are their reviews. Emily starts swimming lessons at school & discovers she is a mermaid. She is curious to test out her newly discovered ability so goes to sea where she can test it out further. She really loves being a mermaid and goes on to a beauty and deportment school for mermaids. She also makes a new mermaid friend. Recommended for 9-11 yr olds. Set in the future it is about children from different areas named “Districts” (District 1 to 12) who have their names (unwillingly) put into a lottery type system. Those picked have go into training in survival and to kill or be killed. It is a bit scary and gruesome but very exciting as well. Lady Lamorna wants a new robe and will do whatever it takes including magic to get it. But Gracie Gillypot will try to stop her with the help of some interesting characters & creatures including some crazy bats a prince and a wicked step-sister. Recommended for 8-10 year olds. It is a female version of Diary of a Wimpy Kid. Nikki starts at a new school where she is bullied. She does make 2 new friends & she is really good at drawing. Soon she becomes really popular because she is so good at drawing. The library has a drawing competition and she draws a tattoo design which is very popular. Too popular! There is also another popular girl who does not like Nikki being so liked by other kids. Frannie, Jo and Beth explore around the magic faraway tree. They meet Moonface and Silky the Fairy and together they go and explore the different worlds up on top of the tree. 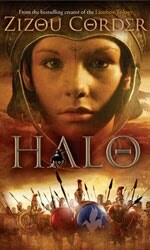 Set in Ancient Greece about a girl who is washed up on shore on a remote Greek Island. She is raised by a family of centaurs. Her idyllic existence is abruptly ended when at aged 10 she is kidnapped by fishermen and sold into slavery. She escapes but realises to survive she must disguise herself as a boy. Only a young Spartan warrior knows she is really a girl. She has to fight for her survival; battling enemies and plague at every turn. She is also on a quest to discover her true identity and her real parents. The only clues she has is a tree-like tattoo on her forehead and an owl amulet around her neck. It was a really gripping read and I couldn’t put it down, it was good to read a book with a strong female character.